The vast lobby atrium incorporates a restaurant, lounge, bar, and shops to create a new dining space in Tokyo Marriott Hotel.Enjoy every kind of scene overlooking the Gotenyama Garden from the restaurant—from breakfast, lunch, and dinner, to meetings over coffee, and further, to having a toast with loved ones. 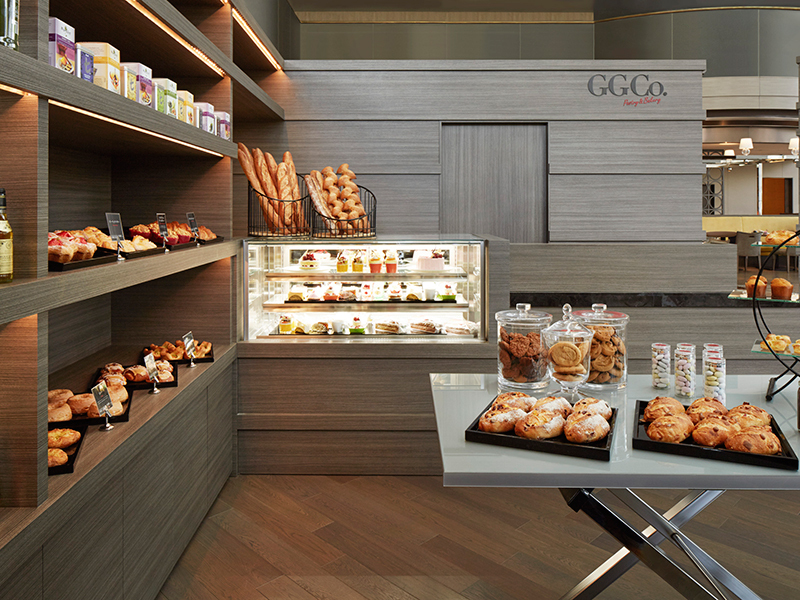 The shop adjacent to “Lounge & Dining G” features a theme of Gourmet and Goodies.Enjoy the assortment of bread that is baked every morning, cakes that are carefully crafted one by one by the patisserie, sandwiches, and deli cups. 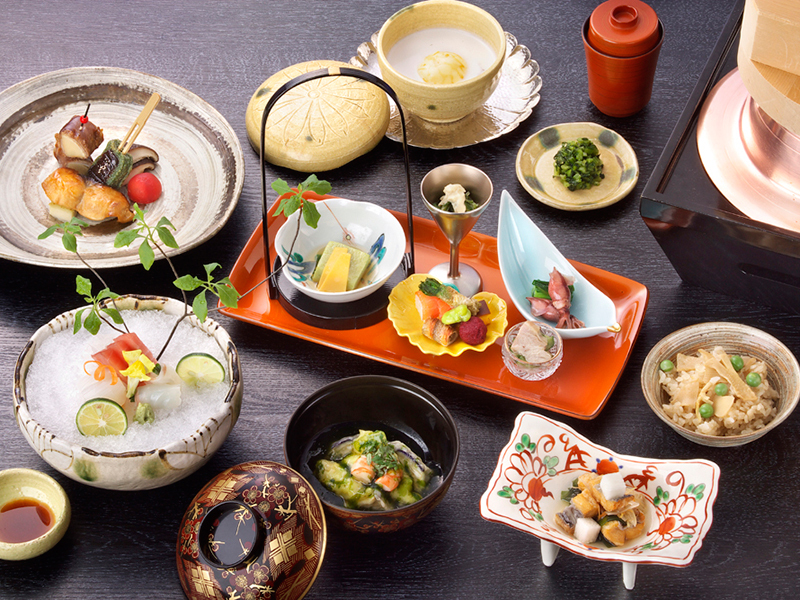 This long-established Japanese restaurant is located on the first floor of Tokyo Marriott Hotel.Enjoy the vivid colors of the cuisine along with the four seasons of Japan, as you take in the splendid views of the Gotenyama Garden from the restaurant. The restaurant features spacious private western rooms, Japanese rooms with a calm atmosphere, as well as a sushi counter and tempura counter. 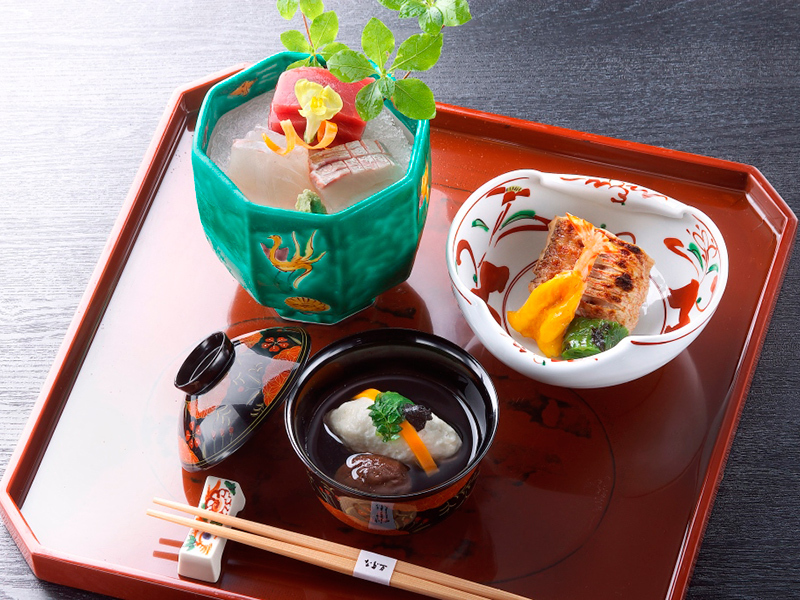 Enjoy the traditional Japanese kaiseki courses that can only be found in a long-established restaurant as you take in the superb views from the top floor of the hotel. 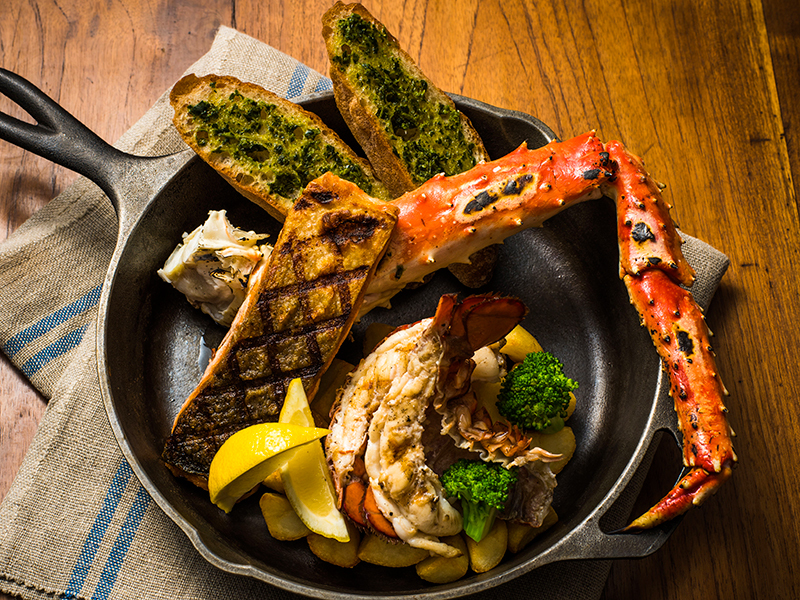 Savor the flavors as you take in the expansive views from the windows of Haneda Airport and the Tokyo Bay Area. 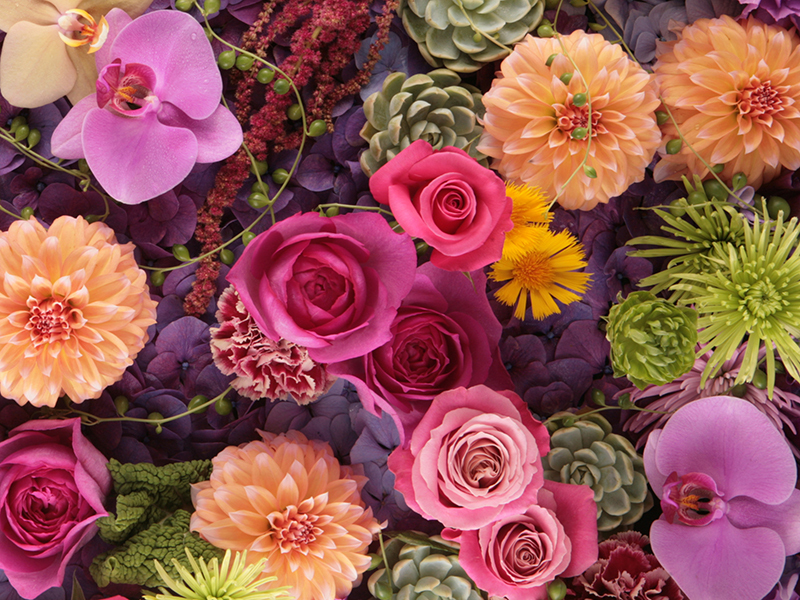 Located at the entrance to Tokyo Marriott Hotel, the shop features an assortment including, seasonal cut flowers, preserved flowers, potted moth orchids, decorative plants, and fragrant items. The shop also offers neighborhood delivery, regional shipments, and the like. 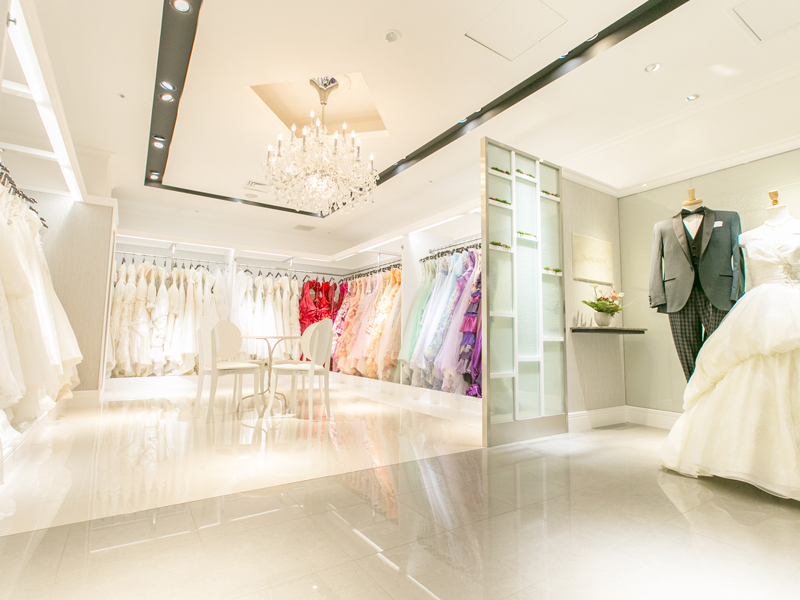 The shop features a wide array of wedding dresses, beginning with the classical dress steeped in regal dignity, or capturing the essence of New York and Paris. The Wellness Wedding menu creates the ideal bridal figure in the relaxed atmosphere of the salon.Creating the image of the “bride to be” just as the customer desires, with the motto of “healthy and beautiful in body and mind,” from the day that the wedding ceremony is decided. This salon provides genuine fitness service in a top-quality fitness space that is surrounded by the greenery of Gotenyama. 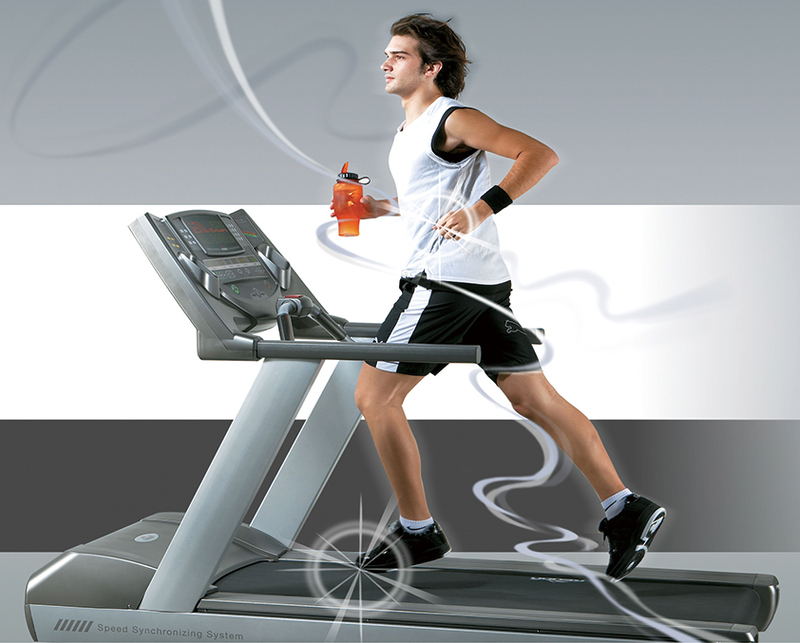 The salon is fully equipped, with the latest machines in the training gym, a studio, pool, tennis court, Jacuzzi, dry sauna, relaxation room, as well as a knowledgeable and experienced staff. This is a fitness club with “genuine principles,” offering personal training that is not just following the traditional manual, but rather offering conditioning that is adjusted to suit the lifestyle of each individual, according to their body and their goals. 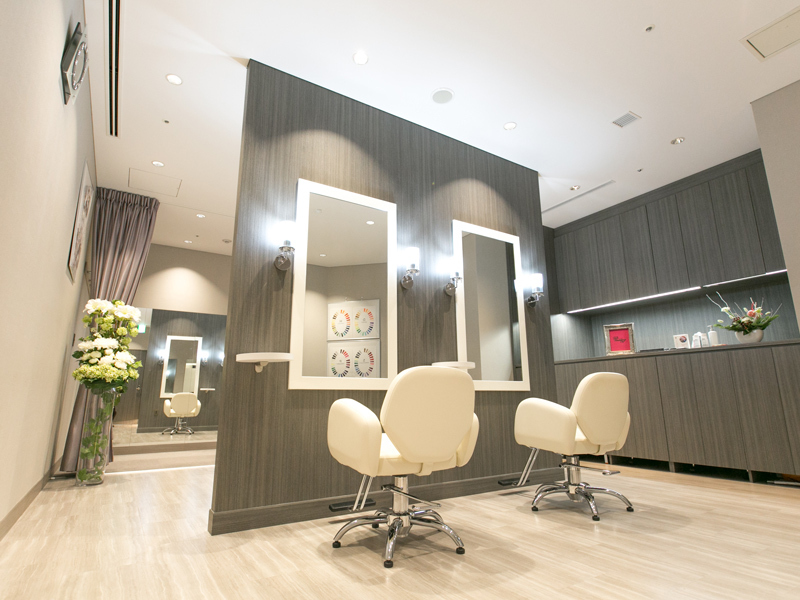 Along with the Laforet Fitness Salon, the treatment room was established as a “facility for real sports injury treatment, rehabilitation, and strengthening that is performed consistently,” meeting a wide range of needs, from sports care to relaxation. Committed to “quality and results in treatment (services),” with a motto of “working together with the trainee in treatment,” the staff members support the daily mental and physical health of the customers. The Sumitomo Mitsui Banking Corporation ATM Corner is located on the first floor of the Gotenyama Trust Tower. This is food stands specializing in a variety of boxed lunches for sale at lunchtime. The stand features boxed lunches from popular restaurants and specialty stores including Japanese, Western, and Chinese cuisine, and new items regularly appear on the menu as well. Enjoy a wide selection without wasting any time or money. 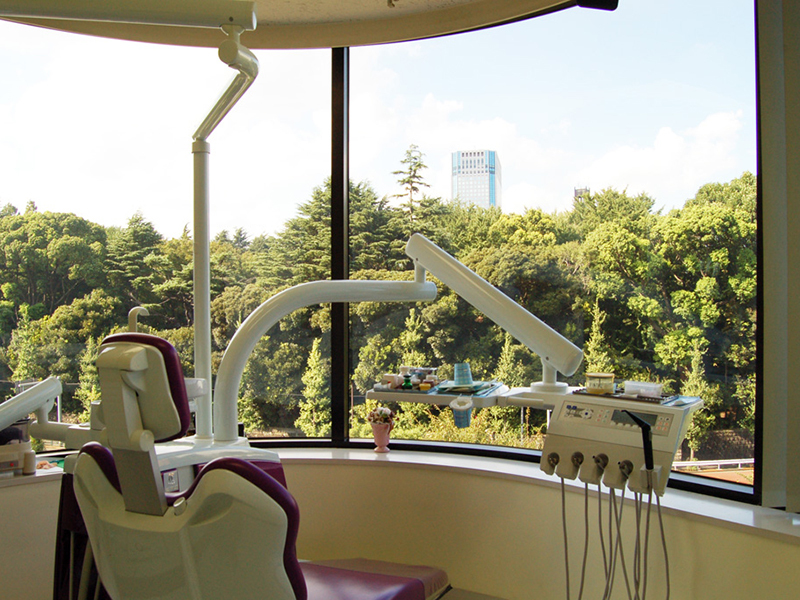 With the motto of “use your own teeth to eat for life,” this dental clinic promotes dental health in maintaining each tooth carefully for life. Particularly as maintaining your teeth forever is connected with maintaining your overall health, the clinic delivers preventive “treatment so you can keep your teeth,” by providing for high technology and extensive procedural experience. The post office handles mail (stamps, revenue stamps, Yu-Pack [parcel delivery service], overseas mail), savings (savings, foreign exchange, transfers, public utilities charges, and international remittances), and insurance (life insurance, mandatory vehicle liability insurance). Wi-Fi (public wireless LAN) access is available in the lobby. This is a convenience store featuring a wide array of boxed lunches, drinks, daily goods, and the like. The shop also meets customer needs with the “FamiPort,” “Bank ATM,” and the like that allow the customer to buy tickets and use a variety of payment services with ease. With Wi-Fi access, it is a convenient shop that delivers “Fun & Fresh” to the customer, as if they are part of the family.